My friend Laura (from the blog LauraInTheMotorCity) has a son who started playing in a football league in September. So over the last few months, I have been learning a lot from her about all the behind scenes work that parents and coaches have to do as part of managing a kids football league. I now know about uniform numbers and rosters, game scheduling and contacting parents - lots of work that makes me glad that my son is only involved in karate and not playing in a sports league. So when I was asked to review a new iPhone/iPad app called HomeTeam, I understood how the app could help parents and coaches better manage all the work that goes with organized kids sports. And you can do all this right on your iOS device without the need for complicated spreadsheets and other scheduling methods. 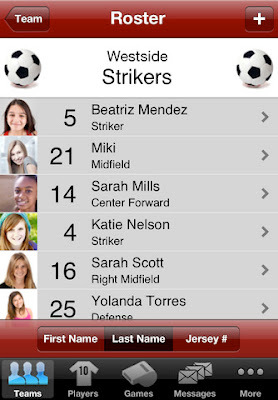 Create rosters for all your teams, with photos and contact information. 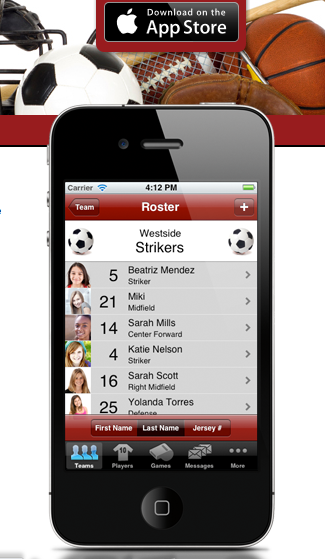 Maintain rosters for all your teams, including player and parent contact information. Automatically add games to your device calendar or work calendar. Maintain your team calendar on the Web automatically. 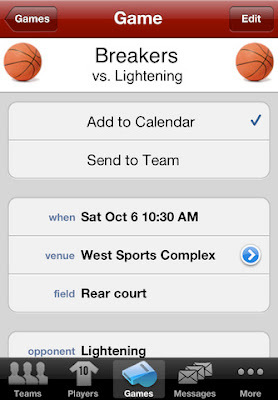 Add game info to your device calendar. 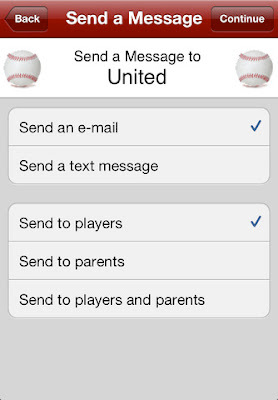 Easily access contact info for other team parents to arrange carpooling and get-togethers. 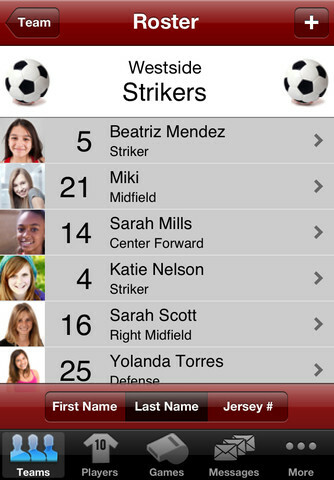 Receive up-to-date game information from coaches and managers. Send e-mails and text messages to all team members and parents. Automatically compose and address e-mail messages with detailed game info. HomeTeam has a lot of basic organization for parents and coaches (see HomeTeam FAQ for app info). The only real drawback is that HomeTeam is currently only compatible with iPhone, iPod touch, and iPad (requires iOS 5.0 or later). There is currently no HomeTeam app for Android or Windows phone devices. But I guess with the upcoming Holiday season, more people than ever will have some sort of Apple device that can run this app. DISCOUNT ALERT: Until December 31, 2012, you can purchase the HomeTeam app in the Apple Store for only $1.99. To learn more about the HomeTeam app, visit the HomeTeam website or follow HomeTeam on Facebook. Disclosure: I was compensated for my time to review this application. I also received a complementary iTunes download for the app to facilitate this review. All opinions are my own.